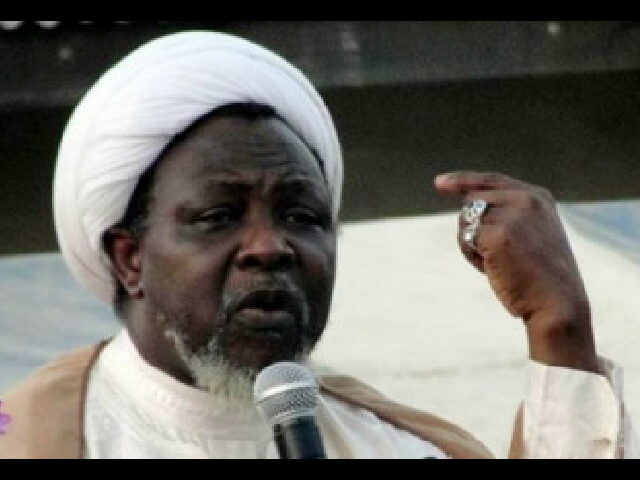 Islamic Movement in Nigeria (IMN), also known as Shi’ite group, on Thursday hinted that its leader, Ibraheem El-Zakzaky and his wife, Zeenah, were recuperating from injuries sustained during December 12 clash with Nigerian Army at an undisclosed location in Abuja. A statement by the group’s spokesman, Ibrahim Musa, said Mr. El-Zakzaky was visited by the contact committee of National Supreme Council of Islamic Affairs, NSCIA on Wednesday. “On Wednesday 13th January, 2016 some members of the contact committee set up by the NSCIA visited Sheikh Ibraheem Yaqoub Zakzaky, leader of the Islamic Movement, who is incarcerated by the federal government since 14th December, 2015. “According to a member of the committee, Prof. Dahiru Yahya, they met the Sheikh and his wife, Sister Zeenah Ibraheem, in Abuja, and are all recuperating from the bullet wounds they sustained during the army’s attack on the Islamic Movement in Zaria. “The Islamic movement welcomes this development. It is a step forward in quelling the anxiety of the teeming millions of Muslims and Non-Muslims alike, all over the globe, in knowing at least the whereabouts of the Sheikh and the condition of his health,” Mr. Musa said. The group however said it was steadfast in its demand for justice and the release of its leader. “So far we have been able to establish some figures that indicate how gruesome the avoidable attack by the Nigerian Army has been. “In our list, there are about 730 people, men and women who are still missing since that fateful Saturday 12th December, 2015. These missing people were either killed by the army or are in detention. Their whereabouts is still unknown and undisclosed. “Also there are 220 brothers of the Islamic movement in detention in Kaduna Central prison, some of them with fatal gun wounds and burns. “Reliable reports from some detention facilities owned by the Nigerian Army in Kaduna, Bauchi and Abuja have confirmed the detention of some brothers of the Islamic movement therein. “As at the time of writing this statement, no single corpse has been handed to the families of those killed. “In as much as we commend the NSCIA for its effort to resolve this crisis initiated and executed by the military, we still demand answers to some questions that the Chief of army staff couldn’t answer when the contact committee met him in his office. “The questions are as follows as narrated in a national daily by a member of the committee: What is the actual number of the dead, and when are they going to be handed over to their relatives for proper burial? Are the injured receiving adequate treatment?” said Mr. Musa.